IJM (India) Infrastructure Limited (IJMII) is a Company registered under the Companies Act 1956. Its Registered Office is located at 1-89/1, Plot No.42 & 43, Phase-I,Kavuri Hills Madhapur, Hyderabad - 500 081. IJM, whose core competency is construction, is one of the Malaysia's largest and most diversified construction groups, with world-wide presence with specialization in the areas of construction, property development, manufacturing, quarrying, plantation and international ventures. Its current operations are spread over Malaysia, India, Australia, Argentina, Chile, China, Myanmar, Singapore and Vietnam. And also constructed House For sale in Vijayawada, Guntur,IJM(India) Infrastructure Limited (IJMII),Flats in Amaravati, Vijayawada, Guntur, is a Multinational company from Malaysia. IJM is a highly quality conscious company with the motto of "Excellence Through Quality Flats in Amaravati,Vijayawada,Guntur". Raintree Park’s, House For sale in Vijayawada & Guntur,IJM(India) Infrastructure Limited (IJMII),Flats in Amaravati & Flats in Vijayawada & Flats in Guntur,House For Sale In Vijayawada & House For Sale In Guntur is a Multinational company from Malaysia. 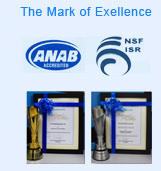 IJM (India) Infrastructure Limited is firmly committed to its quality motto of "Excellence Through Quality".